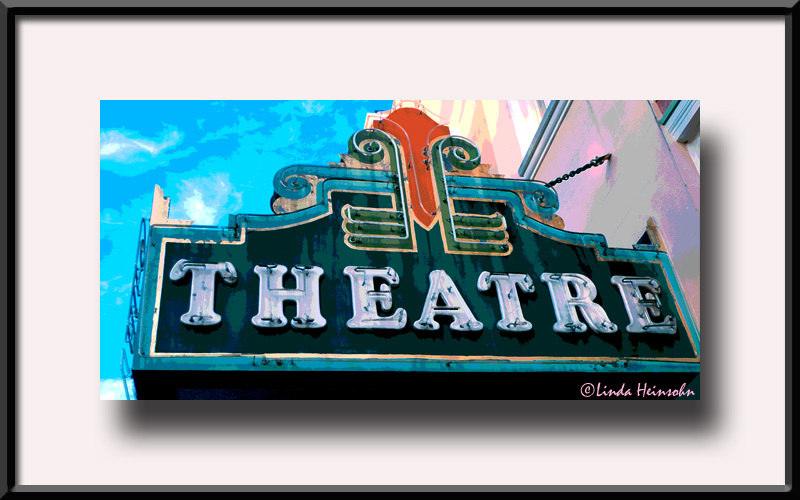 While browsing my photo files and keywording for numbers, letters, textures, and backgrounds, I came across this great theater marquee I shot while in Sonoma, CA, in November. This is the Sebastiani Theater in the Sonoma Town Square, a great old movie house in need of support for restoration. I added a posterizing filter to accent the faded and rain streaked wear of the old sign.